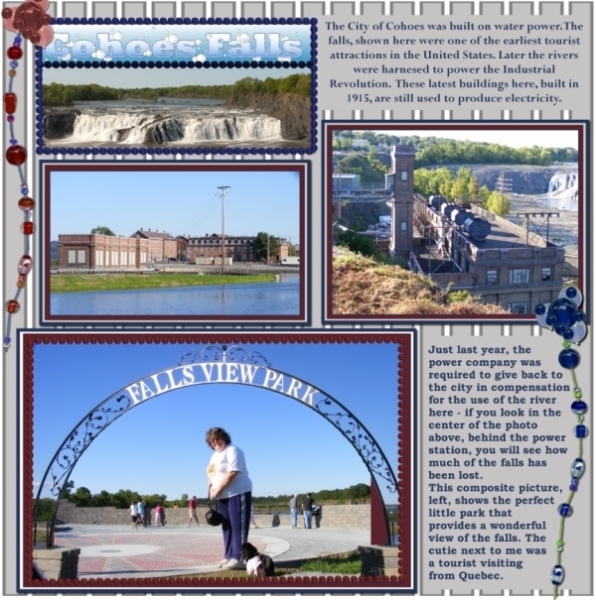 This layout shows some scenes around Cohoes Falls, Cohoes, NY. These falls were quite famous in the early days of the country and attracted many tourists. John James Audobon used them as a backdrop for one of his paintings. Cindy's layout, the first in this challenge has such a beautiful stripped gray background paper. That inspired me to make this one, which is a poor imitation. Lovely page. I love the story you tell here, and the beads make wonderful accents. Great job with the challenge!